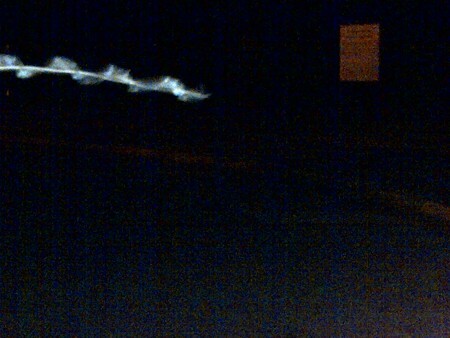 This is what happens when a moth flies in front of the flash of a camera that has a low shutter speed. It's moving fast enough to become a blur and the motion of the wings is spread out. Creating that spiral effect. I was taking a ghost tour in St. Augustine with my then girlfriend. We got to one of the cemeteries (which you can't be near late at night without a tour guide present). I was taking numerous pictures that night. Some turned up orbs, some turned up nothing. 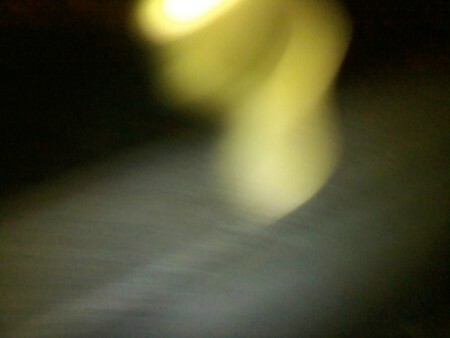 I pointed my camera out toward the cemetery, took a picture, and this came up. There were no other close-by light sources, and no people in my way. (it is impossible, because entering the cemetery is a very serious offense). The man's head you have caught in the picture is an Indian called Aseoli, he lost his head to a Spanish warrior when he was executed when the Spanish fought to keep Florida.